So today, I went to see a man about a burqa. I wanted to see how they were made, how they are worn, and understand why many women choose to wear, what to us in the West, is the archetype image of women’s oppression. I knew going in that ‘back in the day’ village women sometimes chose to wear a burqa when going into town. It was a symbol that due to its awkwardness, they were above toiling in the field. It also served its purpose of keeping away unwanted male attention. During the Taliban era in the late 90’s, the burqa became the fashion de rigeour as it was forced upon all females and became a symbol of the Taliban’s desire to make women invisible and irrelevant. 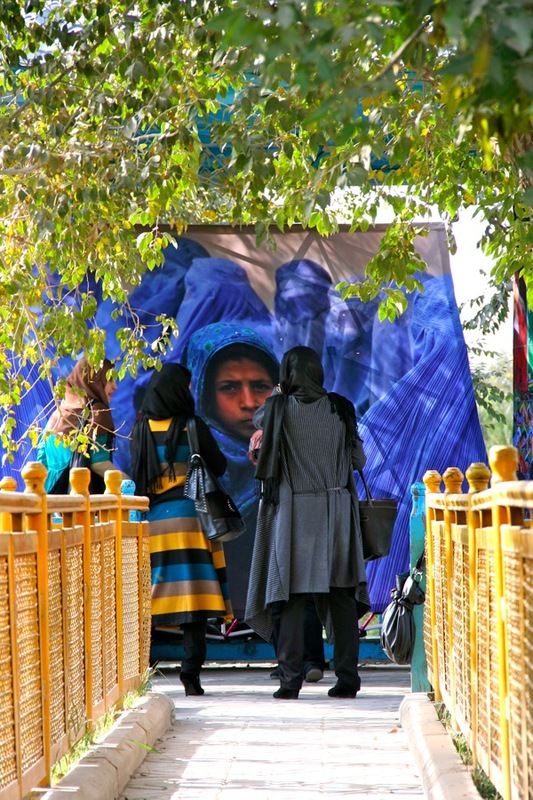 I see many more burqas than I expected to today in Kabul, the majority being the painfully beautiful bluebird color, but occasionally a pure white one emerges from a crowd. 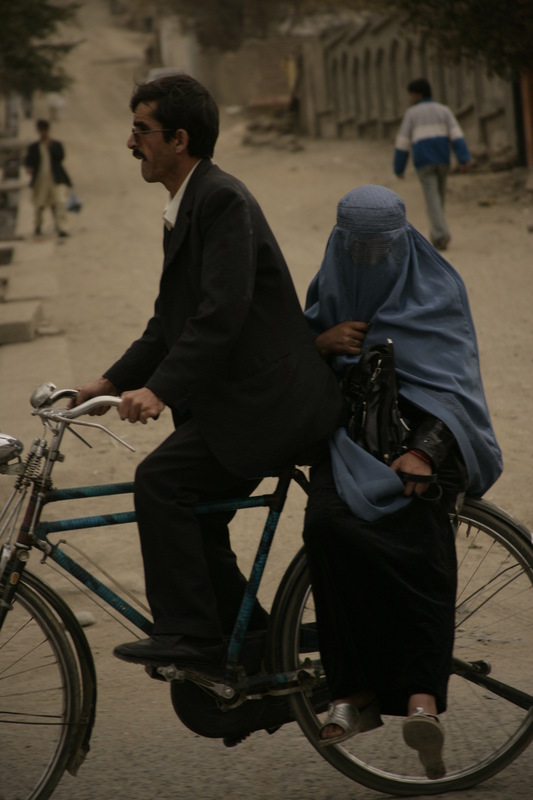 So, I asked my translator, Najibullah to take me to a burqa maker to learn more. A task even more important due to my dear friend, Christiane’s, request of purchasing one while here for her to use as a teaching tool with her work with Pennies for Peace. We go to a quiet market, made quieter since the suicide bombing at the Indian Embassy that it shares a street with. Upon entering – we see a row of burqas hanging on the wall – periwinkle blues, whites, and to my surprise, a vibrant purple alongside several shades of tangerine. I am informed that the color is often related to the region. Mazar-i-Sharif is famous for the white, the south holds the tangerine, while Herat and Kabul typify the bluebird. The shopkeepers are happy to see us and take several down for me to look at the elaborate embroidery across the bottom of the front panel. I choose my purchase for Christiane and look around the rest of the shop. There is a table full of hats, and the first I spot is a round, flat hat, that Najibullah informs me is a buzkashi hat. Somehow this round disk stays put on the player’s head during this ‘extreme sport’ of horse polo and rugby combined with a dead sheep carcass. 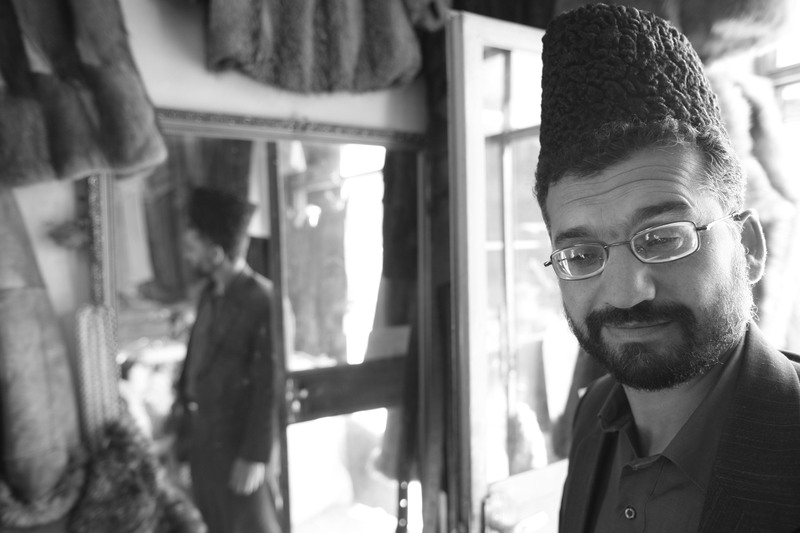 Several more hats stand out as the ‘Karzai’ hat…the hat of boiled wool that President Karzai has made famous. Often a symbol for elders and usually quite expensive. These are a lower quality and as such are quite cheap…but apparently they can go upwards of $1,000. Najibullah suggests we buy one for Obama. He was the one to officially tell me the news of Obama’s win when he picked us up from the airport. We have talked frankly of Afghanistan politics and our joint desire that a new leader could look beyond military tactics and into the heart of this region’s difficulties. Laughing, I ask Najibullah to model one for me so that I can get the full effect. He looks regal and my photographer-in-crime, nudges me that its not a bad idea, hell, what could it hurt. So… I hand over some money and buy a hat for Obama.